Tuesday morning we awoke to bright blue skies and a very cool breeze, which we welcomed into the house to freshen up the sleepy air. While we cleaned up and prepared a little breakfast for ourselves, Chris left the house early along with our guide, Hans Davidsson, to fetch a van to transport us just outside the city to a small village called Jonsered. Arriving at the church in Jonsered, Sweden. Jonsered is a small village northeast of the city that was founded in 1834 by Scotsman William Gibson as a textile manufacturing center. Gibson settled in this particular area to utilize the natural energy provided by the abundance of waterfalls. Furthermore, Gibson sought to foster in Jonsered an Enlightenment-era ideal: a holistic working community in which all members had equal value, merit, and function. He built a fine church and perpetuated a working community of cultural inclusion and cooperation. The village is situated amongst many steep hills and verdant foliage this time of year. The layout of the community indicates its history as an industry town. The large apartments formerly inhabited by the foremen of the industry sit high on the hill just under the church, looking out on the area of the village where the workers would have dwelled. Unassuming from the outside, the church is constructed of beautiful blonde brick and modest stained glass windows. Yet, the real glory of the worship space lay inside. 1783 Schiörlin organ in Jonsered, Sweden. The organ in Jonsered was built by Swedish organ builder Pehr Schiörlin in 1783 for the new St. Andrew's Church in Hvitfeldsplatsen. However, the construction of the building that St. Andrew's hoped to put the organ into wasn't completed until 1837! So, in 1789, the congregation sold their brand new organ to Örgryte Assembly. In 1868, Örgryte sold the small instrument to the Jonsered church where it remains today. Hans Davidsson points out features of the 1783 instrument in Jonsered, Sweden. This organ is based on a 4 foot foundation stop list and was designed with the priority of congregational singing. As Hans demonstrated the stops for us, it became evident that the pipe voicing was done to imbue as much cohesive tonal diversity as possible into a small instrument. The result is remarkable. Each rank sings and is colored with subtle timbre changes throughout its compass. The flue pipes possess their own distinct choruses, while the reed pipes complement these as equals. This 18th-century instrumental masterpiece enraptures the space in uniquely balanced sound. The full organ sound is energizing to sing with; so satisfying is the plenum that the absence of a full-compass 8 foot Principal isn't missed by the listener at all. Indeed, we enjoyed singing a popular Swedish hymn with the organ. Laura Gullett in the gardens after lunch. After our time at the organ in Jonsered, we stopped for a brief lunch at a local cafe. We soaked in the sun, sitting at small white tables adjacent to a beautiful rose garden in full bloom. 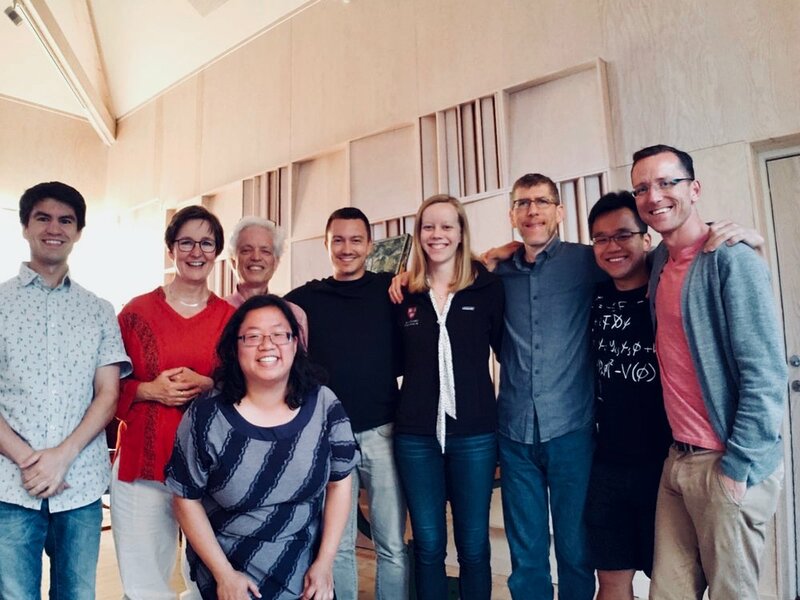 Hans shared with us his experience living and working in the United States (when he taught at the Eastman School of Music before moving back to Europe). At another table, a group of us chatted with some locals who were wearing Boston Red Sox gear. When our early afternoon coffee jolt had set in, we departed for the island where Hans lives with his wife, Ulrika. Corey De Tar and members of Boston Organ Studio on the ferry to Björkö. 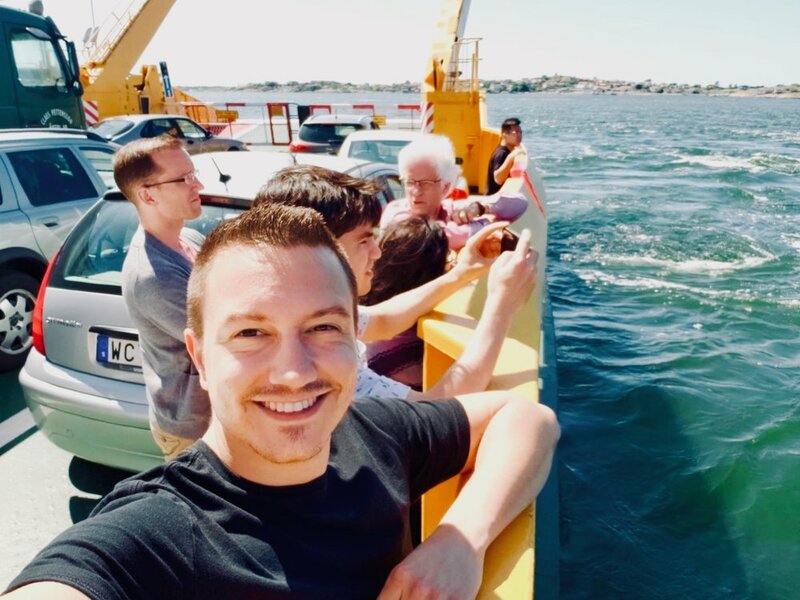 To travel to the small island of Björkö, we took a car-carrying ferry — an experience that I, being from Arizona, had never had before and very much enjoyed. The island was paradise and we loved the charming little town with its own small harbor. After we arrived, Ulrika and Hans treated us to more sunshine, conversation, and fresh fruit on their front lawn. 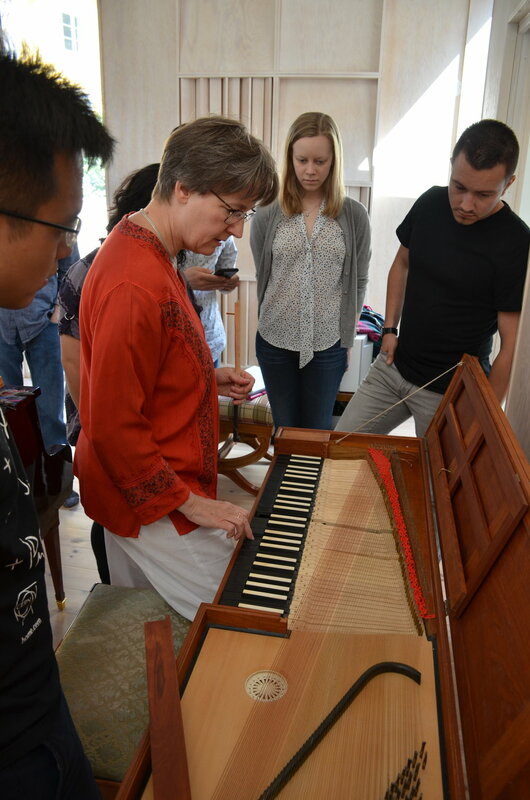 Ulrika Davidsson explains the mechanism of a clavichord to members of Boston Organ Studio. Having had this brief respite, we then had the incredible opportunity to meet the Davidssons' stunning collection of early keyboard instruments. Ulrika, who is a renowned early music performer, shared with us the unique and challenging technique of playing a clavichord utilizing their collection of instruments. Hans and Ulrika have six clavichords of varying sizes and ages that model instruments dating back as early as the late 1600s. One is a Friderici-style clavichord of five full octaves with two manuals and pedal board, making it the largest clavichord in the world! Ulrika Davidsson demonstrates proper clavichord technique. Their newly-built, acoustically-designed music studio also boasts an 1800s-style pianoforte that Ulrika had custom-made and a glorious Italian-style harpsichord. She spent roughly an hour demonstrating beautiful repertoire on each instrument while giving us a brief tutorial on how to achieve an appropriate tone on these sensitive instruments. Following this introduction, we carefully moved the instruments to various rooms of the house and then spent nearly two hours taking turns on each instrument, rotating to a new room every 15 minutes. For me, it was such a wonderful experience to have time with such fine and unique instruments. We all struggled to execute the correct technique, but were motivated by the fact that the instrument gives such immediate feedback... indeed, if one doesn't use a good technique on the clavichord, the instrument doesn't produce any tone! Members of Boston Organ Studio with Hans and Ulrika Davidsson. We ended this perfect day with an incredible picnic of smoked salmon, potatoes in dill sauce, and strawberry-rhubarb pie with vanilla custard. We each also tried a local IPA, brewed just a few houses away on the island! Sunset from the ferry back to the mainland. It was such a beautiful day, and we returned home in our large van as very happy campers. Thank you to the Davidssons for an amazing last day in Göteberg! Arriving to the church in Jonsered, Sweden. The village church, Jonsered, Sweden. Hans Davidsson introduces the 1783 Schiörlin organ in Jonsered, Sweden. 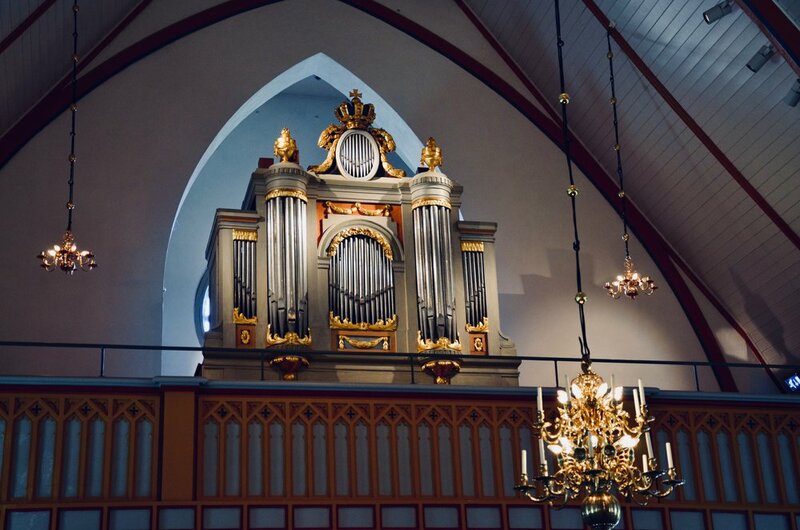 Jennifer Hsiao listens to the sounds of the 1783 Schiörlin organ in Jonsered, Sweden. Brandon Santini and Corey De Tar listen intently. Keydesk, 1783 Schiörlin organ in Jonsered, Sweden. Hans Davidsson points out features of the 1783 Schiörlin organ in Jonsered, Sweden. 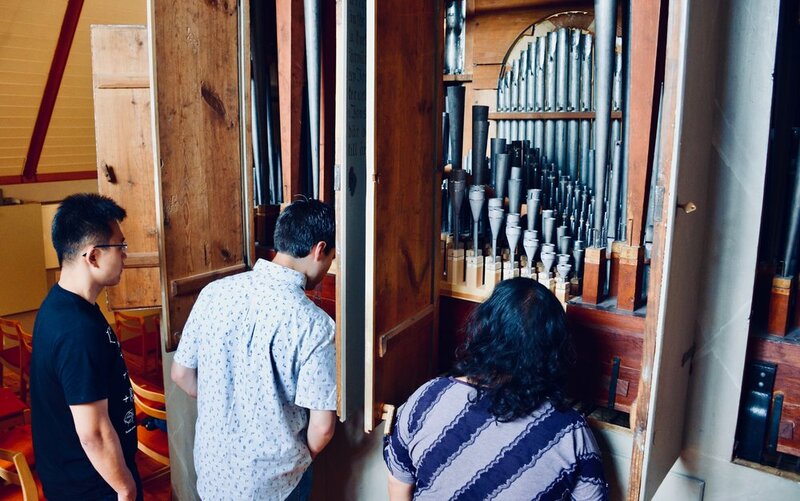 Jennifer Hsiao examines the original pipework of the 1783 Schiörlin organ in Jonsered, Sweden. 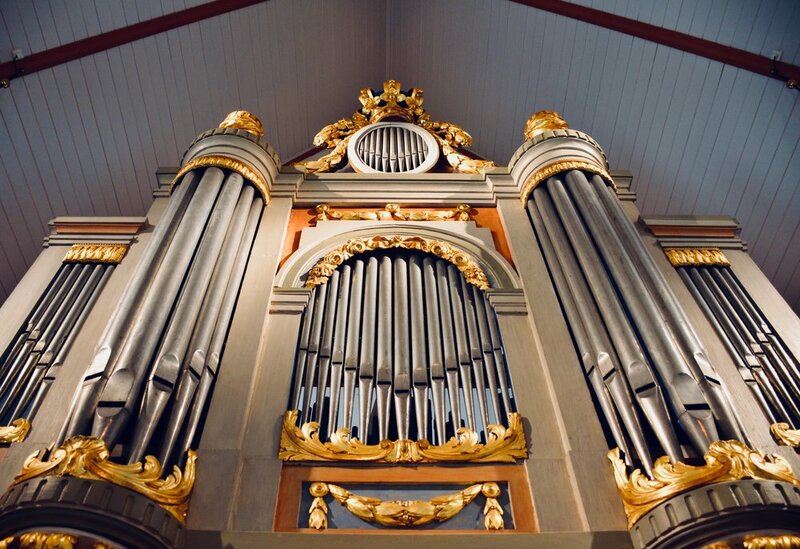 Corey De Tar examines the pipe construction of the 1783 Schiörlin organ in Jonsered, Sweden. Looking inside the organ case of the 1783 Schiörlin organ in Jonsered, Sweden. The inscription on the case of the 1783 Schiörlin organ in Jonsered, Sweden. Hans Davidsson points out characteristics of the pipework in the 1783 Schiörlin organ in Jonsered, Sweden. Jennifer Hsiao plays the 1783 Schiörlin organ in Jonsered, Sweden. 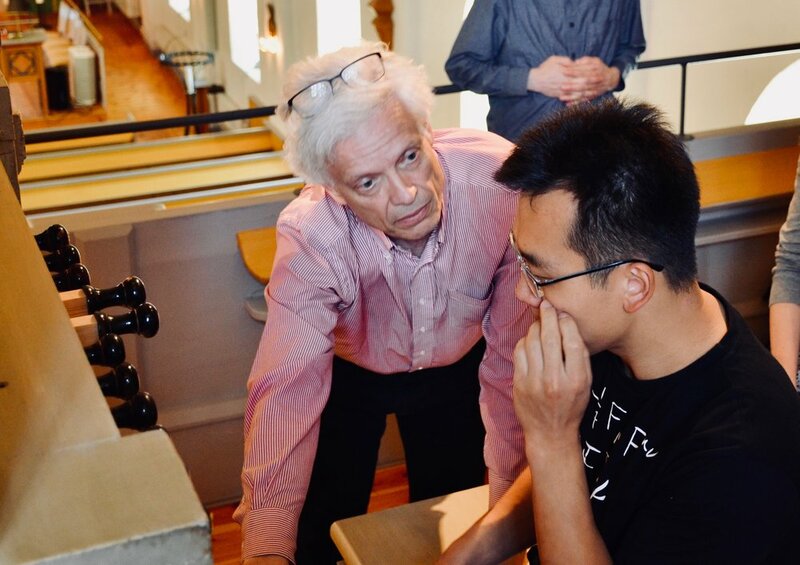 Hans Davidsson coaches Adrian Cho on the 1783 Schiörlin organ in Jonsered, Sweden. Hans Davidsson coaches Laura Gullett on the 1783 Schiörlin organ in Jonsered, Sweden. 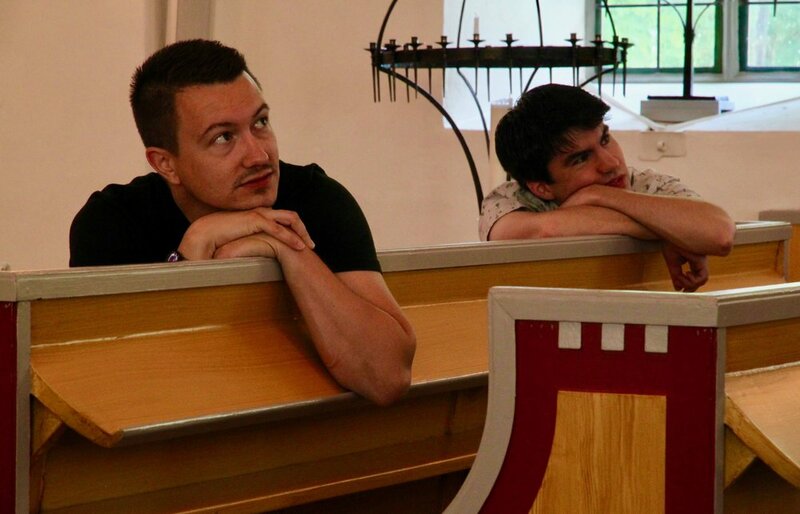 Hans Davidsson coaches Brandon Santini on the 1783 Schiörlin organ in Jonsered, Sweden. 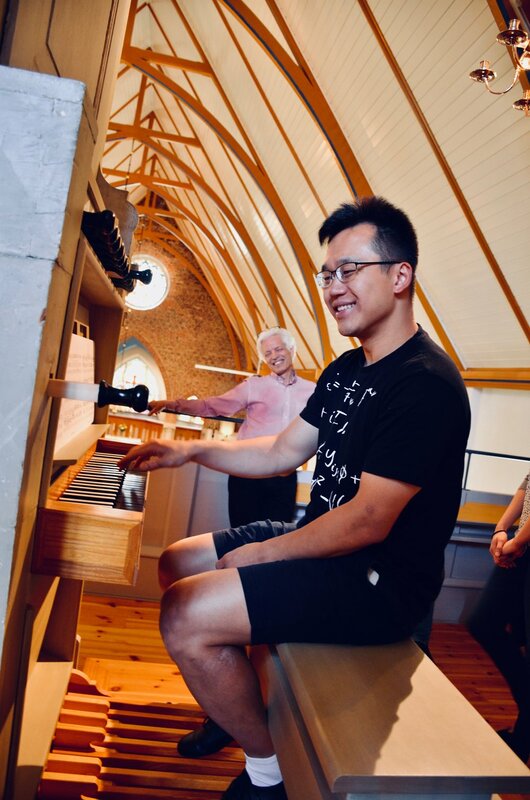 Adrian Cho pumps the bellows, 1783 Schiörlin organ in Jonsered, Sweden. 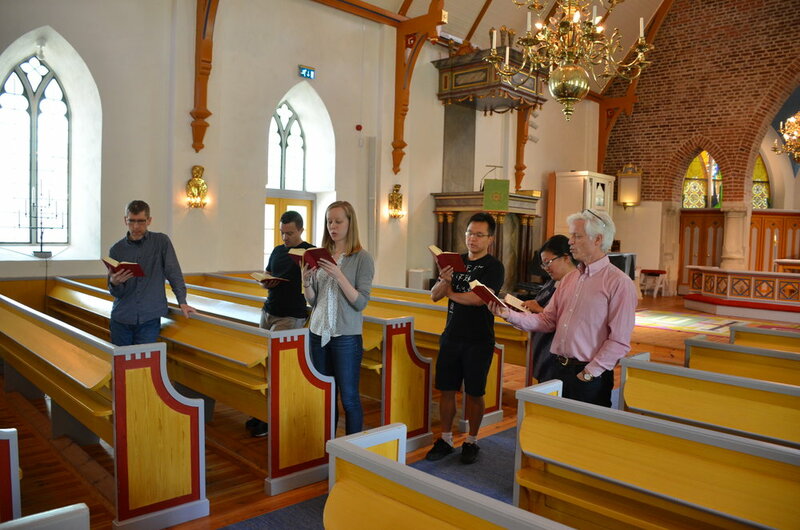 Members of Boston Organ Studio sing a hymn, with the 1783 Schiörlin organ in Jonsered, Sweden. Laura Gullett in the gardens! 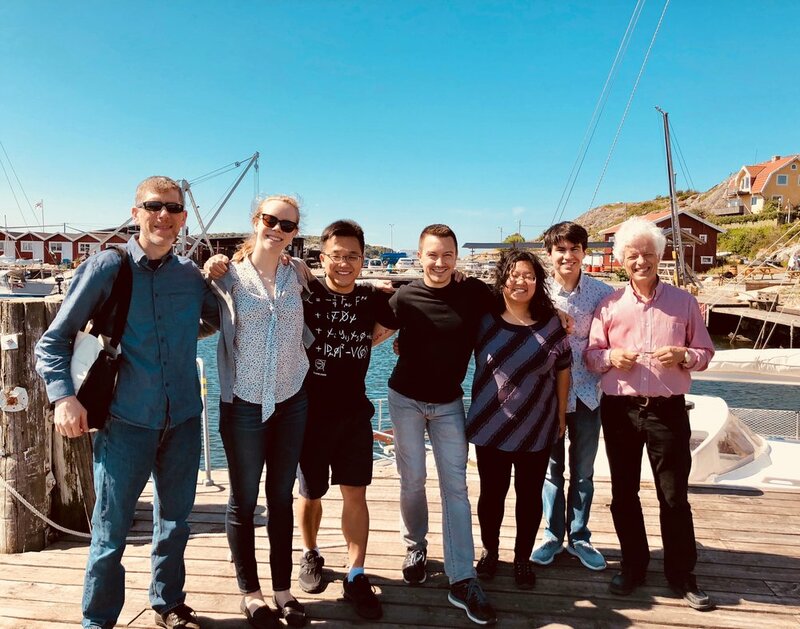 Corey De Tar and members of Boston Organ Studio en route to Björkö, Sweden. Hans Davidsson and members of Boston Organ Studio on the island of Björkö. 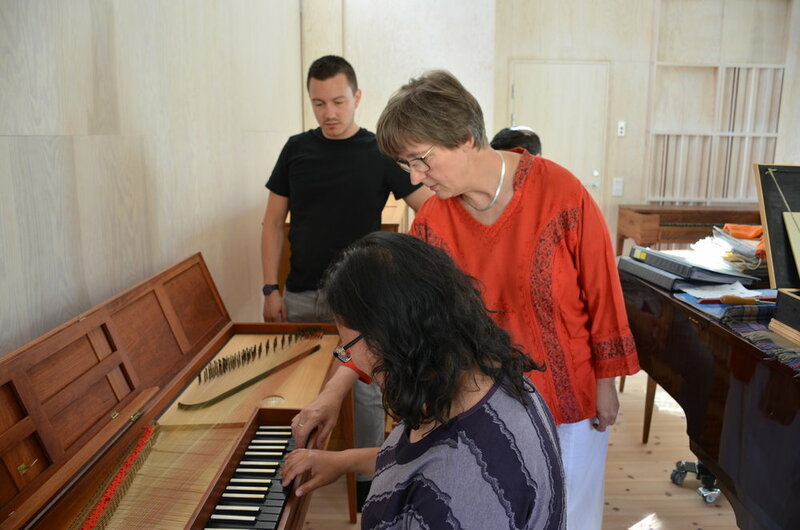 Ulrika Davidsson describes the mechanism of a clavichord. Corey De Tar at the key desk of a clavichord. Ulrika Davidsson coaches Laura Gullett. 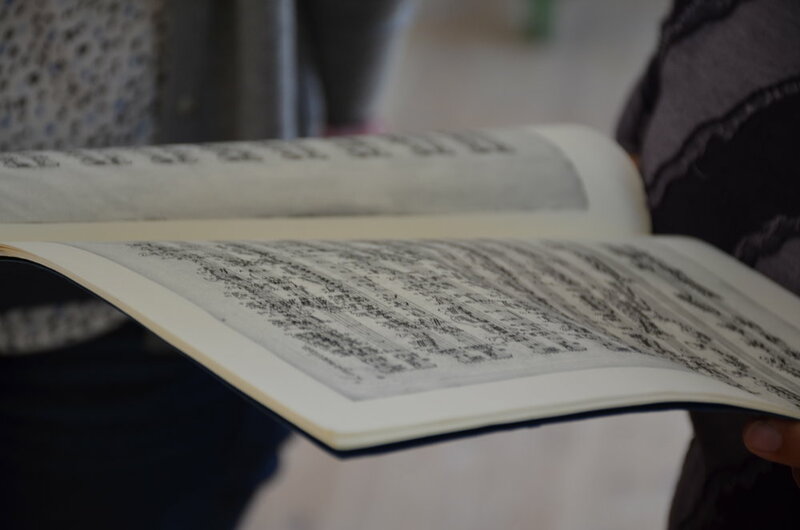 Ulrika Davidsson shows manuscript facsimile of music of C.P.E. Bach. Manuscript facsimile of C.P.E. Bach. 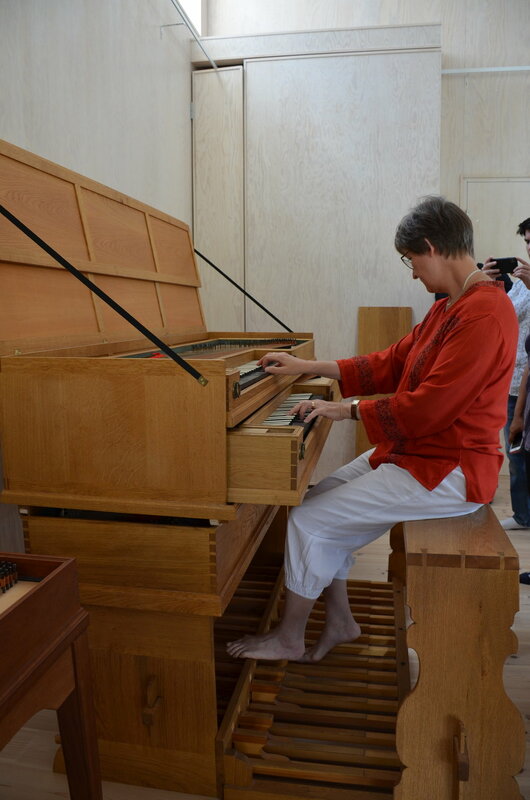 Ulrika Davidsson introduces the instrument collection in Björkö, including this pedal clavichord (the largest in the world). Chris Porter receives advice from Ulrika Davidsson at the pedal clavichord. Members of Boston Organ Studio with Hans and Ulrika Davidsson at their home in Björkö. Members of Boston Organ Studio, with Hans and Ulrika Davidsson, enjoying an evening meal in the garden. Sunset from the ferry upon return to the mainland.